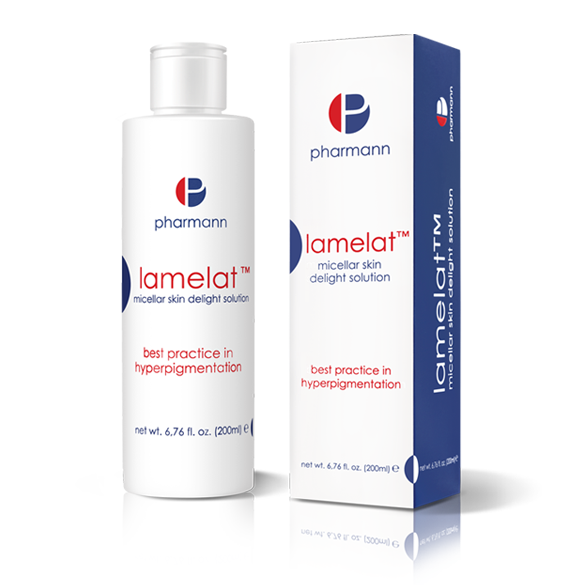 Lamelat™ serum face and neck is intended for daily care of the face, neck and neckline. A unique combination of active ingredients, such as: biomimetic whitening peptide, Exo-T™ and Licorice root extract, significantly affects the reduction of the level of melanin, thereby reducing hyperpigmentation lesions, age spots and other discolorations. As a result, the skin tone is balanced and the complexion has a brighter, youthful appearance. Thanks to the use of an innovative liposomal system penetrating the skin, the biomimetic whitening peptide, contained in the product, penetrates into the deeper layers of the skin to provide a sustained release effect. Moisturizes, regenerates the skin and rebuilds its lipid barrier. 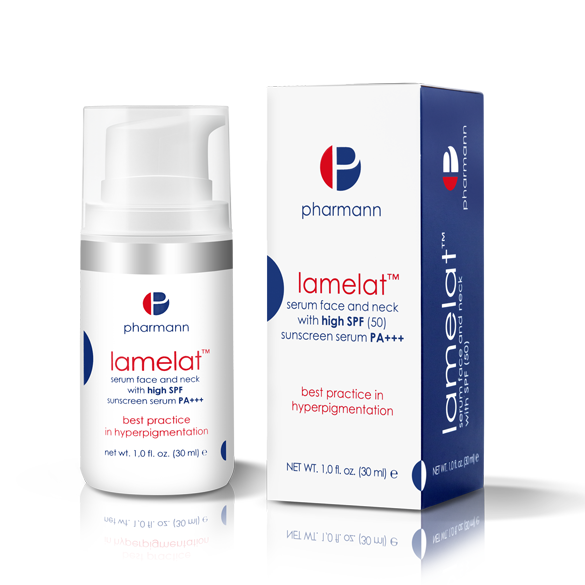 Lamelat™ serum face and neck contains a high sun protection value (SPF 50) so that the skin is protected against harmful UV radiation during whole day. Exo-T™ – a unique polysaccharide obtained from the exotic ecosystem of French Polynesia. Rich in minerals and sugars – mostly rhamnose which plays an important role in the stimulation of fibroblasts for increased biological activity. Rhamnose combines with fibroblasts, resulting in a greater production of collagen and elastin. It leads to formation of the so-called skin supporting fibers, which are a kind of scaffolding for the skin. Skin elasticity is restored and its texture and appearance are greatly improved. The skin regenerates, it has a smoother, radiant appearance. Shows strong exfoliating properties, thanks to which quickly reduces the existing pigmentation lesions and prevents the formation of new ones. Regenerates the skin and gives it a younger, radiant look. Licorice root (extract) – reduces skin discolorations by deactivating tyrosinase, so melanin production is decreased and the transfer of the skin pigment to keratinocytes is limited. It also soothes skin irritations. The glycosides, saponins and flavonoids found in Licorice root have antioxidant and anti-inflammatory properties. Apply a thin layer of serum into the face, neck and neckline. Leave to absorb. Use in the morning.